The Society of Motor Manufacturers and Traders (SMMT) has revealed that UK car sales rose by 7.6 per cent in January, with 154,562 vehicles registered over the 31 day period. The year-on-year rise will bolster hopes that 2014 will be another successful one for car manufacturers, with the UK enjoying its 23rd consecutive rise in new registrations. Sales of alternatively-fuelled vehicles also enjoyed a bumper month, with sales increasing by 25 per cent. 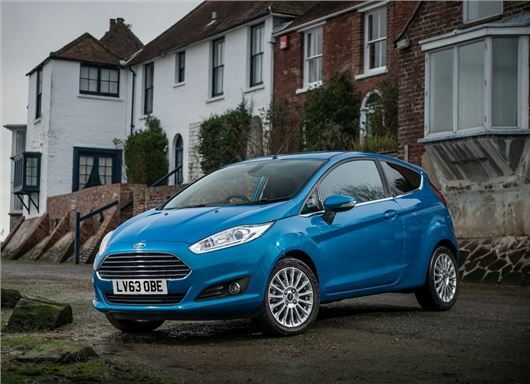 The top three sellers in January mirrors 2013, with the Ford Fiesta, Focus and Vauxhall Corsa topping the charts. However, Volkswagen broke new ground with the Golf and Polo completing the top five. Of the 154,562 cars registered in January, 51.4 per cent were diesels (up 9.1 per cent on January 2013) while petrol powered vehicles made up 46.7 per cent, which is a 5.4 per cent increase on the same month in 2013. "The new car market ended 2013 on a high, so it is encouraging to see the January market start the year strongly, rising 7.6%," said Mike Hawes, SMMT chief executive. "As fuel economy is a major consideration for many motorists, ongoing investment by vehicle manufacturers in innovative, fuel-efficient technology is a key factor in the growing demand for new cars. Looking ahead, the UK automotive industry expects to see moderate, sustainable growth in 2014."